STAAD.Pro V8i is a comprehensive and integrated finite element analysis and design offering, including a state-ofthe-art user interface, visualization tools, and international design codes. It is capable of analyzing any structure exposed to static loadin and dynamic responses. STAAD.Pro V8i provides FEM analysis and design for any type of project including towers, culverts, plants, bridges, stadiums, and marine structures. MAXSURF offers comprehensive capabilities for the design of all types of marine vessels. It includes capabilities for hull modeling, stability, motions and resistance prediction, Structural modeling, structural analysis, and export to vessel detailing. The applications Operate from a single parametric 3D model that facilitates smooth communication and coordination among different team members and design activities. Perform fast hull form variation and analysis with team-based concurrent modeling on a common 3D parametric model. Easily visualize and assess design alternatives ​​with smooth data flow within a consistent graphical environment. Analyze and visualize models based on their geometry or attributes. Perform analysis of real-world solar exposure and shading. Apply real-time display styles to visualize models based on each object’s properties. Produce realistic movies and simulations from design, construction, and operational models with the built-in Luxology engine. Choose from keyframe and time-based animation. Get the results you want, faster. Present documentation and related design information within the spatial context of the 3D model to significantly improve their clarity. Embed links to related Microsoft Office documents and websites. Easily navigate from drawings to their source model to related drawings. Generate consistent, high-quality paper and digital deliverables. Automate reports by generating them directly from the embedded properties of objects to give confidence that they will always remain in sync with the model during work-in-progress. View and work with design information from others in real time using live referencing of 2D/3D DGN, DWG, and large image files, refreshed on demand. You can even natively reference PDF files into your designs. Create and exchange digital markups of designs with built-in tools. You can easily mark up models and drawings with redlines and comments and manage them through a markup dashboard. The capability of the water network to adequately serve its customers must be evaluated whenever system growth is anticipated. With WaterGEMS, effectively identify potential problem areas, accommodate service area growth, and plan capital improvements. Model in a familiar platform, leveraging CAD tools and shortcuts when using WaterCAD from within MicroStation or AutoCAD. You can also choose to use WaterCAD as a stand-alone application, for additional flexibility. Find the weak links in water distribution systems and assess the adequacy of isolation valves. Evaluate the ability to isolate portions of the system and serve customers using different valve locations. 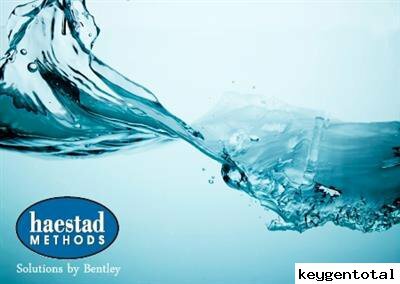 Use hydraulic model results to help optimize the design of complex water distribution systems and utilize built-in scenario management features to keep track of design alternatives. Conserve water and increase revenues by reducing water leakage. Leverage flow and pressure data to find locations for detailed sonic leak detection (WaterGEMS only). Study the amount by which you can expect to reduce leakage by reducing pressure and see the impact on customer service. From urban sewer planning to overflow remediation analysis to optimized best management practices designs, SewerGEMS provides an easy-to-use environment for engineers to analyze, design, and operate sanitary or combined conveyance sewer systems, using built-in hydraulic and hydrology tools, and a variety of wet-weather calibration methods. StormCAD is a comprehensive modeling software program for the design and analysis of storm sewer systems. StormCAD provides calculations for catchment runoff, inlet capacity,and gutters and pipe network flow. Automatically design gravity piping and structures. Enter your design constraints for StormCAD to automatically determine cost-effective pipe sizes and invert elevations while minimizing pipe cover to avoid unnecessary pipe trench excavation. AECOsim Building Designer is a multi-discipline building design application that provides BIM advancements so you can deliver high-performance buildings faster and with greater confidence. You get all the power of MicroStation in addition to the robust capabilities of AECOsim Building Designer so you can easily design, analyze, document, and visualize buildings of any size, form, and complexity. Coordinate your designs better, thanks to a common design environment and a streamlined workflow. Resolve clashes with built-in clash detection and share mark-ups of models and documentation across teams to reduce project errors. 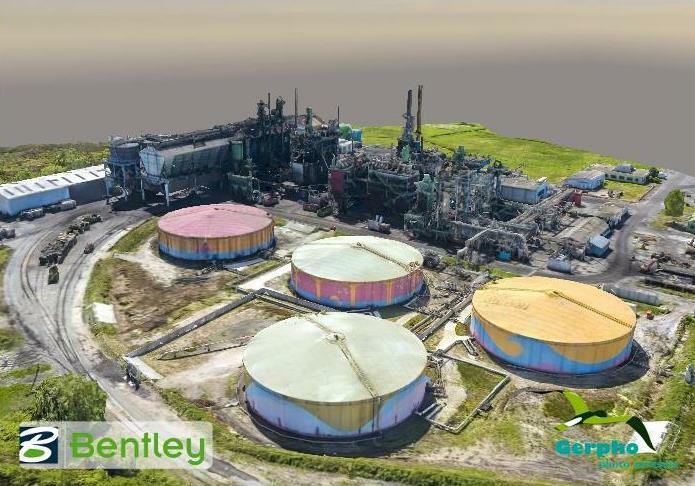 Bentley MXROAD Suite provides information-rich modeling integrated with CAD, mapping, GIS, and business tools such as PDFs, i-models, and hypermodels. The software features immersive, 3D parametric modeling with an innovative approach to designing civil components in a total-project context. 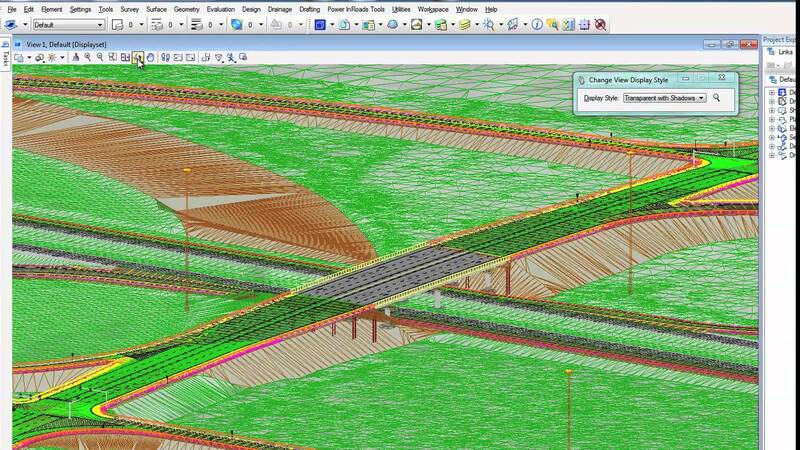 MXROAD Suite is the design platform of choice of leading engineering design firms and global transportation agencies. Discover why transportation professionals around the world depend on MXROAD Suite. Generate consistent, high-quality paper and digital deliverables such as paper plots, reports, 2D/3D PDFs, and 3D physical models. Automate and speed annotation, display styles, and reports by generating them directly from the embedded properties of objects. CReduce costly design errors by simulating vehicle path movement throughout the site design process to readily identify issues early in the project. Use a pre-populated library of vehicle templates or design custom templates to meet your project needs. You can export files in DWG, Land XML, and PDF formats. Power Rail Track is a comprehensive application for preliminary and detailed 3D design of rail Infrastructure. The software provides complete drafting capabilities, powerful mapping tools, and a high degree of automation to established industry workflows, to deliver significant productivity improvements and time savings for design and maintenance of rail projects. Gauging analysis ensures that the rolling stock proposed for your track will fit. Design data is combined with CAD models of proposed infrastructure changes to assess the viability of new or changed infrastructure. Ensuring appropriate drainage is included within rail designs is vital to ensuring the availability of the railway. Preventing storm or floodwater from damaging your rail network through effective design will reduce maintenance costs and increase availability of the network. Deliver construction, refurbishment, and renewal information from designs directly to the construction sector. You can deliver tamping instructions directly to tamping machines for track realignment, or full scheme plans for major works or new rails. ​Create engineering deliverables for your rail projects, directly from design models. Contractual deliverables for rail schemes include geographic plans, sections, bills of quantities, stage works plans, and images these are delivered with controlled approval and distribution. Promis.e V8i (SELECTseries 8) organizes work into projects, linking drawing pages for cross referencing, error checking, and list generation. Changes made to one part of the project are automatically reflected in the rest of the project. Develop an intelligent model that links, cross-references, and error checks the drawings and documents in your project. Exchange model data with other Bentley products to collaborate with other disciplines. Design electrical panels and control wiring for all types of industrial machines. Find the shortest distance wiring inside a cabinet using the 3D cabinet design features. Employ intelligent schematics to increase the speed and quality of your plant electrical system design. Perform 3D electrical layout against 3D plant models referenced from common plant design products. Produce precise schematics such as crossing, track, and control circuits. 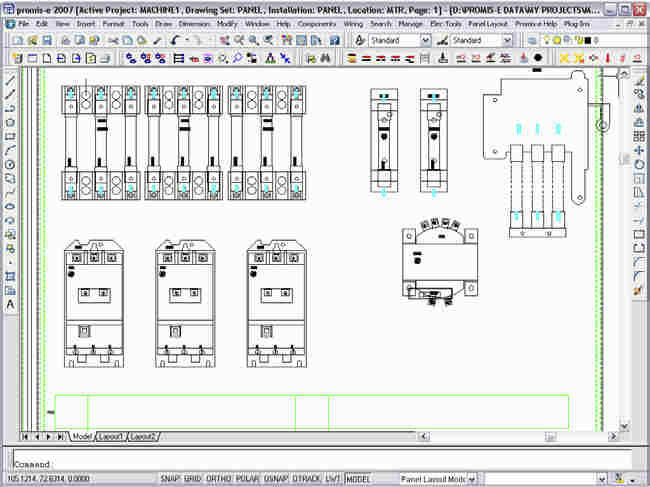 Publish route aspect charts, event recorder connectors, and layouts for relay racks, panels, interlocking rooms, and huts. Publish accurate bills of material, wire length reports, purchase order lists, and more. Update these reports quickly to keep up with design revisions.